Tomorrow's Halloween, so I might as well review something to fit the kind of atmosphere of Halloween. And I think Doom's a pretty good contender for that! Doom was first released in 1993 for PC by ID Software, and is often hailed as one of the innovators in FPS games, for setting new standards and establishing a good design template. But has it lasted the test of time over the years? Let's find out. This review comes from the opinions of the poster himself. This does not reflect the opinions of the rest of the gaming community. After a demonic invasion, you are the last marine alive, therefore you must go through the game to defeat and stop demonic invasion. As I was saying, this game was pretty innovative and revolutionary, and helped start off the FPS industry. 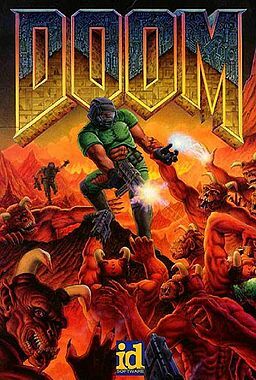 While Wolfenstein 3D came first and helped establish a basic formula, Doom practically perfected it. The graphics were really good for the time, considering they looked more colorful and had better lighting, plus they implemented multiplayer into the genre, and gave it a new kind of design, by introducing features such as the "mouse and keyboard" control scheme, items and gave it a bit of atmosphere by using the aesthetics to it's advantage. And I really must say, the game has aged really well considering it's release in 1993. The gameplay in the game is quite good. Again, while Wolfenstein helped practically start the FPS genre - using guns to kill enemies, Doom really helped improve the formula in quite a few ways. The gameplay feels really fast and fun, while still giving a bit of challenge. It has a variety weapons to use and find through the levels, some more powerful than other's. You start out with a fist and a pistol, but as the game progresses you find more weapons that the enemies often drop, which are usually stronger and have a better range, such as the shotgun, chaingun and the infamous Big F**king Gun, which is apparently this game's equivalent of the Tanooki suit in Super Mario Bros 3, since it doesn't have as much splash damage and is the strongest of the weapons in the games. The weapons in general do have a good amount of balance, depending on what you're using and you're skill level on the game. Plus, there's also certain powerups other than guns/weapons you can find throughout the game that usually help Doomguy get through the levels and for that matter find secrets. Health packs, as expected, restore your health, as well as Berserk Packs which increases Doomguy's melee skills, and the radiation shielding suit which let's you walk on damaging floors such as nukage pools. With that said, one thing I like about this game is that there's a share of skill and exploring involved in the games in many of the levels. There's usually more thought with your actions, paths to take and some levels require you to find different colored cards to get through certain doors, which means doing a bit of exploration for the levels. I feel all this Doom a good share of challenge plus helped it with setting standards and design choices for future FPS games, yet it along with the overall atmosphere and graphical art style still give it a unique feel, so I really feel this is definitely one game that has stood the test of time over the years. I should also mention something I feel makes it memorable to this day is the level design. There's 8 levels per episode, and 3 episodes (4 if you're like me and playing Ultimate Doom), as well as a ninth level in each episode if you manage to find the secret exit in each episode, which for it's time makes the game pretty long on it's own, but in the levels themselves, there's a lot of paths to take, therefore again - lots of exploration, and good enemy placement. The multiple paths and secrets of the game give it quite a bit of replay value, making the levels fun to go back and play. To add to the replay value, there's actually tons of mods (or WADs) that can be applied to this game, most notably extra levels and weapons, which makes the game feel even longer and the replay value practically endless, which is nice to see a community behind it still developing the game in a way, over 20 years after it's original release. Oh, and the music is really good. It's just that adrenaline pumping metal action that really makes this soundtrack memorable and match the overall tone and atmosphere of the game itself. As for the flaws I have with the game, there.. really aren't that many aside I have from really minor nitpicks. I feel the biggest problem I have with this game is mainly more of an optimization issue than an issue with the game itself, and it can easily be fixed. See, if you install the Steam port at least on Windows 8+ (or maybe Windows 7+, but I haven't tested it), it doesn't run well due to the creators using an outdated version of the DOSBox software bundled with the game. However, it can be fixed by using a program called Zandronum to patch the game, which is worth it, since it polishes the game by handling the mouse/keyboard control scheme, and makes the game run around 500 FPS on my PC alone, so I personally don't mind it. I feel it's easy to say Doom is one of, if not the best FPS games of all time. There is that tiny issue with optimization on newer operating systems, but otherwise, the amount of replay value, great level design, good music and overall the fun I had with this makes the game really good, and hands down one of my favorites. If you're going to get this game, I do recommend the PC version, especially with the Zandronum patch, especially since most console ports of the game tend to be pretty hit-and-miss, especially with the retro console ports. Anyway, with all this said.. Happy Halloween everyone!  I'm aware I'm a day early, but I probably won't be writing any blog posts/reviews tomorrow, so meh. Definitely one of the best FPS. I'd say though that if you want an even better and faster experience, Brutal Doom is a really good mod of sorts.